Jed MacKay of Prince Edward Island is the man in charge of the life of Marvel Comics's Daredevil — if only for five weeks, as his miniseries on the Man Without Fear is published. Jed MacKay of Prince Edward Island is the man in charge of the life of Marvel Comics's Daredevil — if only for five weeks, as his miniseries Man Without Fear is published. 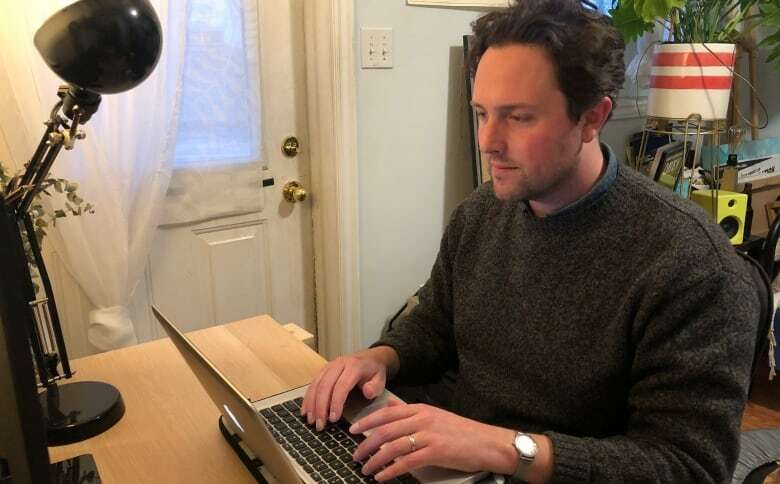 MacKay, 35, grew up in Stanley Bridge, P.E.I., and now lives in Halifax where he teaches junior high school at the Maritime Muslim Academy and freelances as a writer. 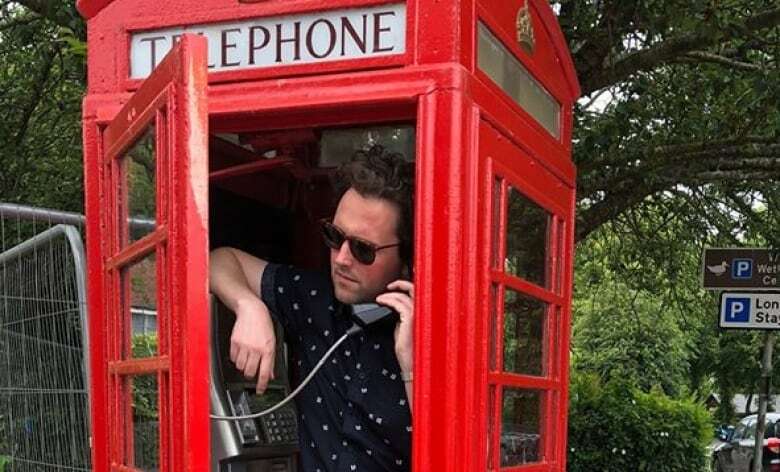 "This sort of recent success in comics has come as a bit of a surprise to me," said MacKay, pointing out that for the last couple years he's mostly been busy writing short stories and trying to get his novel published. "It's very exciting," MacKay said. "Just this validation that I'm starting to support myself with my creative output." 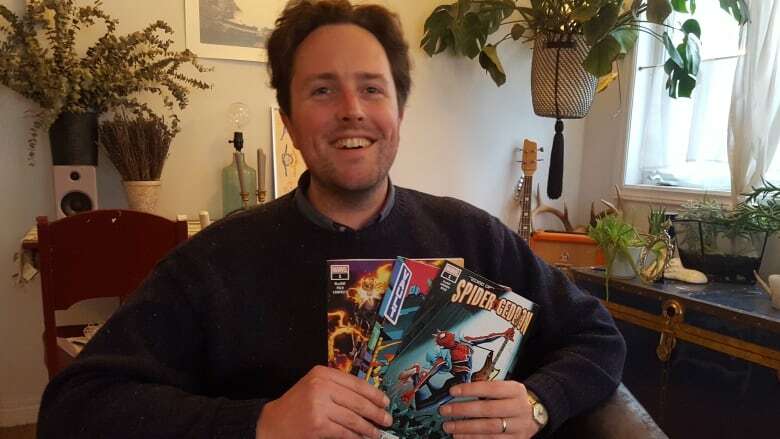 In his late teens and early 20s MacKay was part of an online community of comic book artists and writers, sharing ideas and "making comics for fun," he said. About a decade ago, one of those artists got some freelance work with Marvel, and tapped MacKay to write the stories for the comics. "We would do short comics for Marvel every three or four years, until this spring when I kind of got a real break — and I've been working pretty regularly ever since." That "break" was writing a 20-page issue on a character they'd introduced in a Spider-Man story a few years previous — an alternate-universe Spider-Man called Spider-Punk. "I really jumped at that because it was a great opportunity," MacKay said. It was successful and led to more work. Now, MacKay has written a series about Man Without Fear — a.k.a. Daredevil — which is in the midst of a five-week publication run. "It was a bit daunting when I first got the job, because up till then all the characters I'd worked with were all ... niche characters. They didn't have as dedicated a fan base as Daredevil," he said. "It's just a much higher-profile job. "It opens you up to a much larger audience and all that comes with it." MacKay's five-issue weekly miniseries bridges the gap between when the regular monthly Daredevil series ended in December — with the injured Daredevil in hospital clinging to life — and new issues of the series which begin in February. "I'm really pleased with how it came out, the work that I did, and the work of the different artists on the series," he said. Most of the reviews for MacKay's first couple of issues have been good. "If this first issue is any indication, Jed MacKay, Danilo S. Beyruth and the rest of the creative team are crafting a smart and critical deconstruction of what it means to be a Man Without Fear," wrote Comic Book Reviews. "Jed MacKay delivers another fantastic issue of Man Without Fear, that definitely continues its dissection of who Matt Murdock is and the price he has paid for being Daredevil," wrote Comicosity. "I like the direction the story seems to be going, but it feels like something that could (and probably will) be explored when Daredevil relaunches in a month," said Sequential Planet's review, which nevertheless gave the first issue a rating of 7.5 out of 10. MacKay would love to write full time, he said. Some writers do have exclusive contracts to write a certain number of issues for Marvel per year, which provides a guaranteed income. "I'd love to be able to support myself and my family with telling stories," he said. "It's something that I'm working toward, and it'll be interesting to see how it goes." MacKay will be at the Charlottetown comic book store The Comic Hunter signing copies of Daredevil next Saturday, Jan. 19 from noon till 3 p.m.
"I'll be signing them, I'll sign any other book that I've written, I'll sign any book I haven't written, really!" he joked. First he's given a contract to write a "book" with certain characters. Sometimes he's given a basic plot outline and a deadline, then he brainstorms and researches. "What would interest me about this character or characters, what do I think would be fun to have them do? Depending on who the artist is, what I think would really play to their strengths." Then he drafts a page-by-page outline, followed by a detailed script in which he describes what he wants to have happen in each panel, and writes in the dialogue "as if it were a film script." Then, it's sent for editorial approval. This is where his early experience in playing with writing comics comes in handy, MacKay said. He recalls often writing scripts at which his artist friend would scoff and say "I'm not going to draw this, are you serious? It's going to take me a year." "I like to think I have a better sense now of that than I once did," MacKay said. "Though that said, I do ask people to draw a lot of cars, which is apparently a real pain in the neck." What's next? MacKay has also landed a regular monthly series with Marvel, about which details have not yet been announced — and he said he's "pretty psyched." In theory there is no end date in sight for a regular comic series — it lasts as long as consumer interest does, he said. If you want to read his prose, MacKay also has a blog called Cauldron. Province explores how to say welcome to P.E.I.